A low-powered study is only going to be able to see a pretty big effect. But sometimes you know that the effect, if it exists, is small. In other words, a study that accurately measures the effect … is likely to be rejected as statistically insignificant, while any result that passes the p < .05 test is either a false positive or a true positive that massively overstates the … effect. A conventional boundary, obeyed long enough, can be easily mistaken for an actual thing in the world. Imagine if we talked about the state of the economy this way! Economists have a formal definition of a ‘recession,’ which depends on arbitrary thresholds just as ‘statistical significance’ does. One doesn’t say, ‘I don’t care about the unemployment rate, or housing starts, or the aggregate burden of student loans, or the federal deficit; if it’s not a recession, we’re not going to talk about it.’ One would be nuts to say so. The critics — and there are more of them, and they are louder, each year — say that a great deal of scientific practice is nuts in just this way. Statistical significance doesn’t say that something is important or true. Since there already are far better and more relevant testing that can be done (see e. g. here and here), it is high time to consider what should be the proper function of what has now really become a statistical fetish. 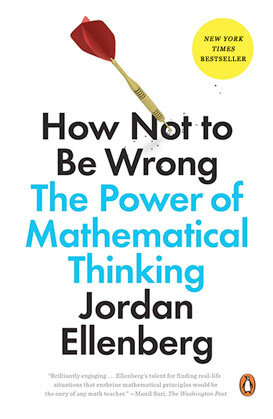 Given that it anyway is very unlikely than any population parameter is exactly zero, and that contrary to assumption most samples in social science and economics are not random or having the right distributional shape – why continue to press students and researchers to do null hypothesis significance testing, testing that relies on a weird backward logic that students and researchers usually don’t understand? In its standard form, a significance test is not the kind of “severe test” that we are looking for in our search for being able to confirm or disconfirm empirical scientific hypothesis. This is problematic for many reasons, one being that there is a strong tendency to accept the null hypothesis since it can’t be rejected at the standard 5% significance level. In their standard form, significance tests bias against new hypotheses by making it hard to disconfirm the null hypothesis.